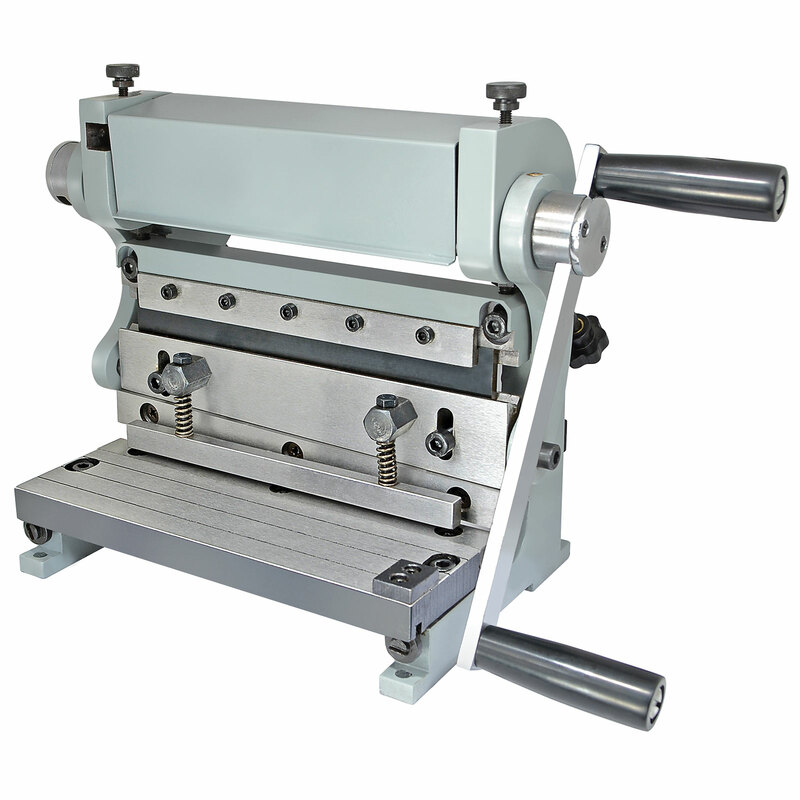 Our 3-in-1 Metal Worker combines three metal and plastic sheet fabrication tools into a single, compact, bench-top machine: shear, bending brake and slip roll. Turning the crank shears metal and plastic sheet to exact length. 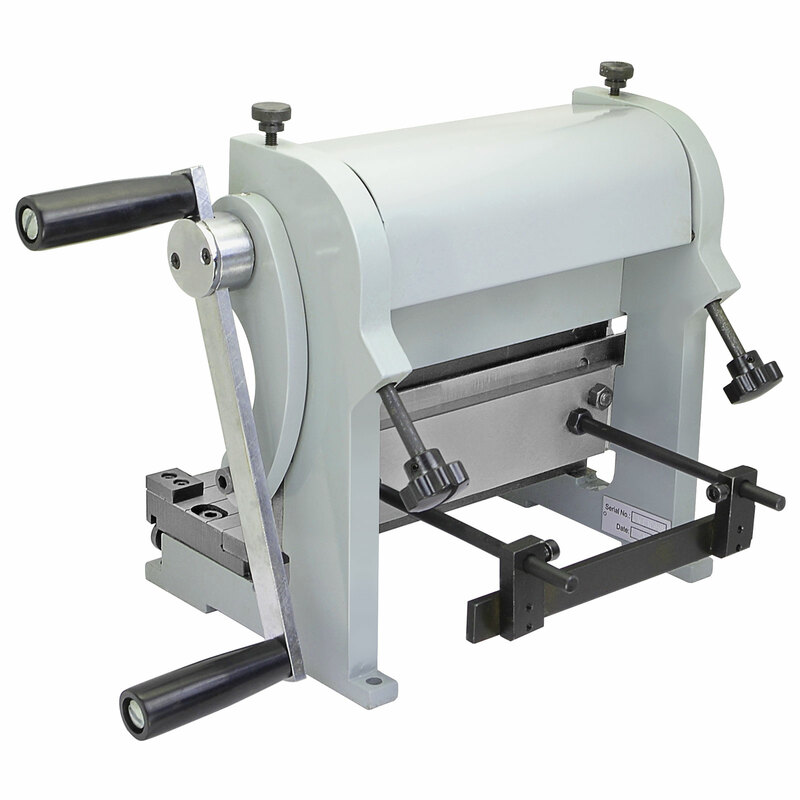 The center bending brake makes bends up to 90 degrees, and contains 4 adjustable V-shaped carbon steel dies for making compound bends. 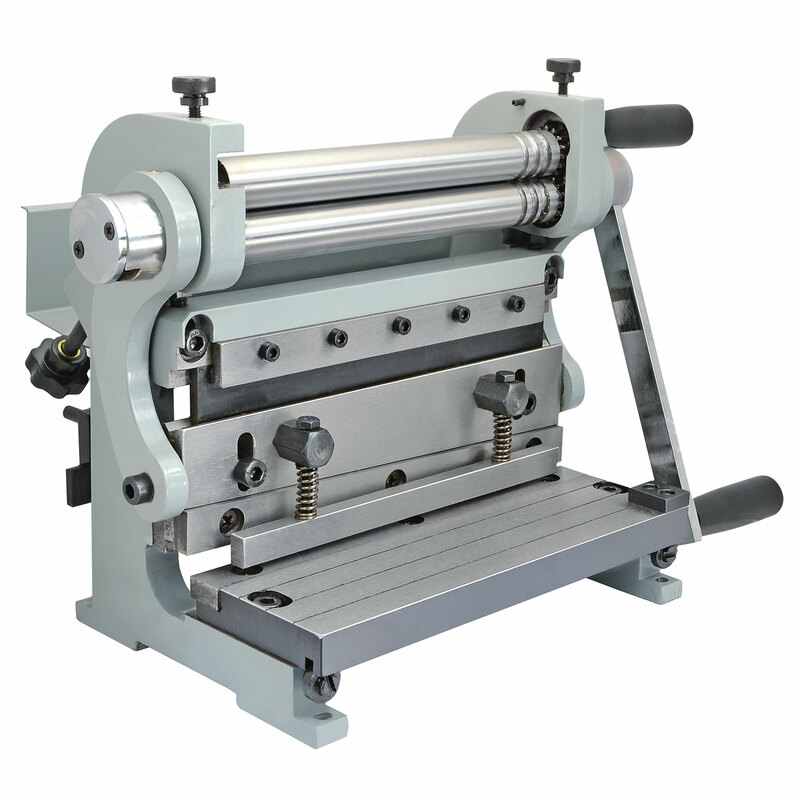 The 3-roller slip roll forms curves, cylinders and cones in metal and plastic sheet, and forms gentle curves in wood sheet and metal tubing. Includes positioning guide for square cuts, spring-loaded shear hold-down plate, and depth stop for making duplicate parts. Maximum sheet thickness: 1/32 inch. Maximum width of shear/brake/roll: 8 inches. Crank can be moved from one end to the other. Fully adjustable for precision fabrication. Overall size: 16 inches wide x 7 inches deep x 10-1/2 inches high. Weight: 39 lbs. I ordered this bender a year ago and while it does not get a lot of use It does a great deal of precision work. I did remove the automatic hold down as it is difficult to see where I was cutting. I wish there was a straight edge on the table but it's easy enough to position a square.